Need to test a server, storage I/O networking, hardware, software, services, cloud, virtual, physical or other environment that is either doing some form of file processing, or, that you simply want to have some extra workload running in the background for what ever reason? 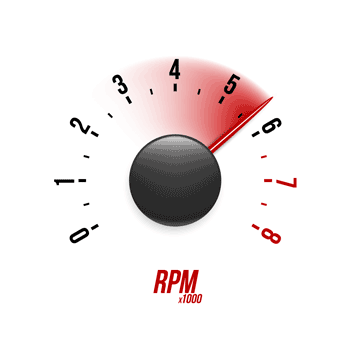 An option is File Processing Benchmarking with Vdbench. Here’s a quick and relatively easy way to do it with Vdbench (Free from Oracle). Granted there are other tools, both for free and for fee that can similar things, however we will leave those for another day and post. Here’s the con to this approach, there is no Uui Gui like what you have available with some other tools Here’s the pro to this approach, its free, flexible and limited by your creative, amount of storage space, server memory and I/O capacity. If you need a background on Vdbench and benchmarking, check out the series of related posts here (e.g. www.storageio.com/performance). If you do not already have Vdbench installed, get a copy from the Oracle or Source Forge site (now points to Oracle here). Vdbench is free, you simply sign-up and accept the free license, select the version down load (it is a single, common distribution for all OS) the bits as well as documentation. Installation particular on Windows is really easy, basically follow the instructions in the documentation by copying the contents of the download folder to a specified directory, set up any environment variables, and make sure that you have Java installed. The above command will reset your I/O counters. Note however that command will also overwrite counters if enabled so only use it if you have to. Likewise *nix install is also easy, copy the files, make sure to copy the applicable *nix shell script (they are in the download folder), and verify Java is installed and working. You can do a vdbench -t (windows) or ./vdbench -t (*nix) to verify that it is working. There are many options with Vdbench as it has a very robust command and scripting language including ability to set up for loops among other things. We are only going to touch the surface here using its file processing capabilities. Likewise, Vdbench can run from a single server accessing multiple storage systems or file systems, as well as running from multiple servers to a single file system. For simplicity, we will stick with the basics in the following examples to exercise a local file system. The limits on the number of files and file size are limited by server memory and storage space. You can specify number and depth of directories to put files into for processing. One of the parameters is the anchor point for the file processing, in the following examples =S:\SIOTEMP\FS1 is used as the anchor point. Other parameters include the I/O size, percent reads, number of threads, run time and sample interval as well as output folder name for the result files. Note that unlike some tools, Vdbench does not create a single file of results, rather a folder with several files including summary, totals, parameters, histograms, CSV among others. For flexibility and ease of use I put the following three Vdbench commands into a simple text file that is then called with parameters on the command line. With the above script file defined, for Big Files I specify a command line such as the following. The following is one of the result files from the folder of results created via the above command for Big File processing showing totals. For lots of little files, the following is used. The above examples can easily be modified to do different things particular if you read the Vdbench documentation on how to setup multi-host, multi-storage system, multiple job streams to do different types of processing. This means you can benchmark a storage systems, server or converged and hyper-converged platform, or simply put a workload on it as part of other testing. There are even options for handling data footprint reduction such as compression and dedupe.